We all lead busy lives and know the important of daily exercise to prevent obesity, diabetes, and heart disease. Many people do not exercise due to a lack of motivation, not enough time, and the high cost and large amount of space that traditional exercise equipment requires. The TV Pedaler™ is the solution to these common problems. The TV Pedaler™ connects to your television set. While sitting in your own comfortable chair, you must pedal in order to view the TV. If you stop pedaling, the screen goes blank. 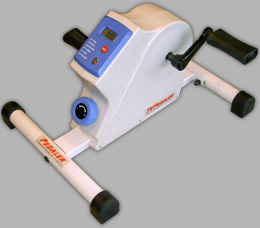 The TV Pedaler™ is available for purchase through PayPal. D Squared Technologies, Inc. is currently seeking a business / marketing partner or company interested in licensing our patented Pedaler™ exercise system. Please visit our contact page if you are interested.